Opera today announced a new beta version of its desktop browser for Windows, Mac and Linux; you can test the new browser by downloading it here. Opera 12.10 includes an enhanced API for URL filtering, along with three new APIs (Context Menu API, Screenshot API and Resource Loader API) that essentially enable developers to create more engaging extensions for Opera end users. The browser also comes with a brand new extensions download-progress indicator. Opera 12.10 comes with basic touch support for Opera in Windows 8 Classic (and Windows 7), so users will be able to scroll, zoom and browse pages and elements way more smoothly. 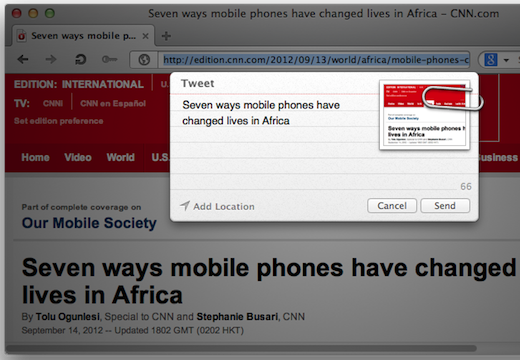 Mac users can enjoy new capabilities of OS X Mountain Lion with Opera; they are now able to use Mountain Lion’s built-in share function for your social networking needs, using the new Share button in Opera’s address bar, as well as seeing Opera notifications in the Notifications Center. The latest desktop version of Opera should be quite a bit faster, thanks to performance optimizations, but also because it now includes support for the SPDY network standard. SPDY was designed to cut down the time it takes for Web pages to load, and is used by sites like Twitter.com and Gmail’s Web version. Opera 12.10 comes with support for some new Web standards, including the Fullscreen API and (partial support for) the Page Visibility API. Opera is also updating its WebSockets standard implementation and enabling it by default, in addition to adding support for the International Color Consortium profiles. Opera’s new beta desktop browser should look way better on high-resolution displays, including Apple’s new Retina displays. 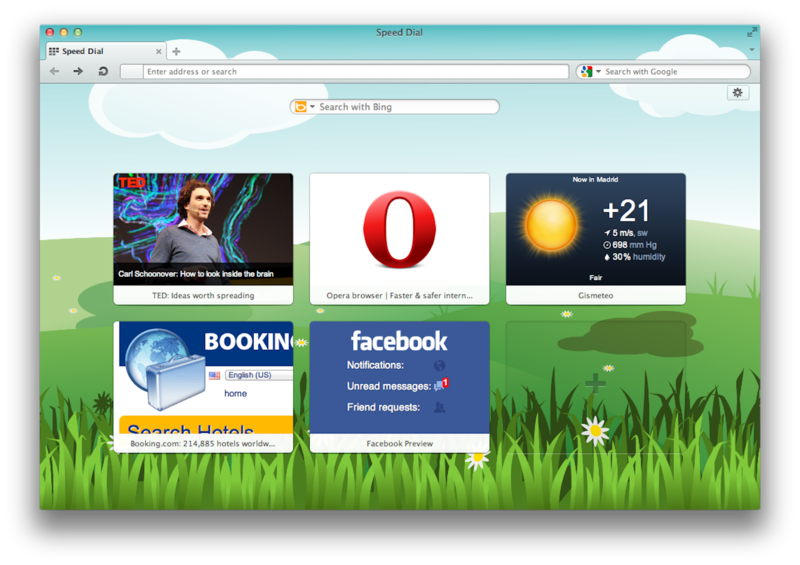 For the record, the company released Opera 12, a more stable version of its desktop browser product, back in June 2012; the one you can download via the link mentioned in the first paragraph is a test version of its upcoming browser. If you decide to give it a whirl, let us know what you think.